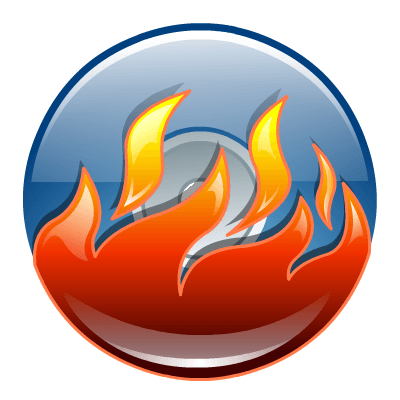 The powerful burning software Nero Burning ROM allows you to burn your data, music and videos to disc. There’s a reason Nero Burning ROM is the application you’ve trusted for years with your most important data. Its advanced disc burning engine simply lets you burn reliable and secure CDs, DVDs and Blu-ray Discs. With more incredible new features and support for Windows 8, there’s no reason to use anything else. Don’t waste discs. With Nero DiscSpan, you can split oversized files and burn them to multiple discs. With the all-new Nero DiscSpan SmartFit feature, go even one step further and automatically span the data across the fewest number of discs possible. Even mix disc types to use your optical media economically. Now with Nero Burning ROM, you can create CDs, DVDs and Blu-ray Discs that begin playing a defined executable file with an assigned icon automatically when you put them into your PC drive. It’s the little touches that make all the difference! Inevitably, discs get scratched. But scratched discs don’t have to become unusable. With Nero SecurDisc technology, your burned data can withstand disc scratches and discs that deteriorate from age. Moreover SecurDisc technology enables you to create password protected data discs for utmost privacy and protection. Still one of the easiest ways to make your own compilations and take your favorite playlists with you anywhere. Use Nero Burning ROM to rip audio CDs to your PC, remix them and create your own discs to play on your home or car stereo. Also convert your audio files to a great variety of high quality audio formats including APE, FLAC, AIFF, OGG, and more. Set variable bitrates for MP3/MP3 PRO to gain highest quality output with minimum amount of storage space. Use ImageRecorder to create disc image files easily – just drag and drop. Burn ISO, NRG, CUE and IMG disc image formats to CDs, DVDs or Blu-ray Disc. With this free software you can burn CD-R, CD-RW DVD+R/RW DVD-R/RW discs. BurnAware is a family of full-featured and free burning software to easily create and burn CD, DVD and Blu-ray discs of all types as well as disc images. Daemon Tools is a virtual cd/dvd-rom emulator.